Hike Needle Hill but Mind the Monkeys and Goats! We know it sounds weird, but when you hike Needle Hill in the New Territories, along a particular section of the trail (we’ll tell you about it below in the “Our Route” section) it’s not uncommon to see Rhesus Macaque playing around in the trees. On the descent down into Tai Wai, depending on the time of day, it’s also not uncommon to see some Billy Goats (from a nearby farm) grazing on the jungle underbrush. We know this sounds weird, but indeed when you hike Needle Hill (and if you follow our route) you’ll have a good chance of seeing monkeys and goats! Something you may also find interesting about this hike is how quickly Hong Kong’s urban jungle transitions into the literal one. 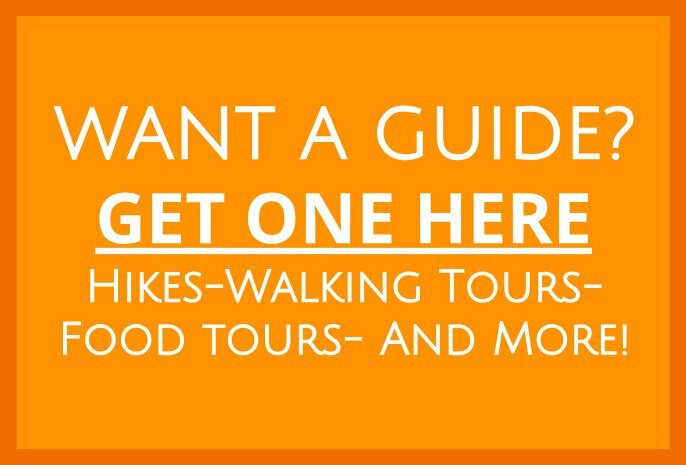 This hike starts at the Sha Tin MTR station, and it ends at the Tai Wai MTR station, but you won’t be taking the train to get from point A to B. 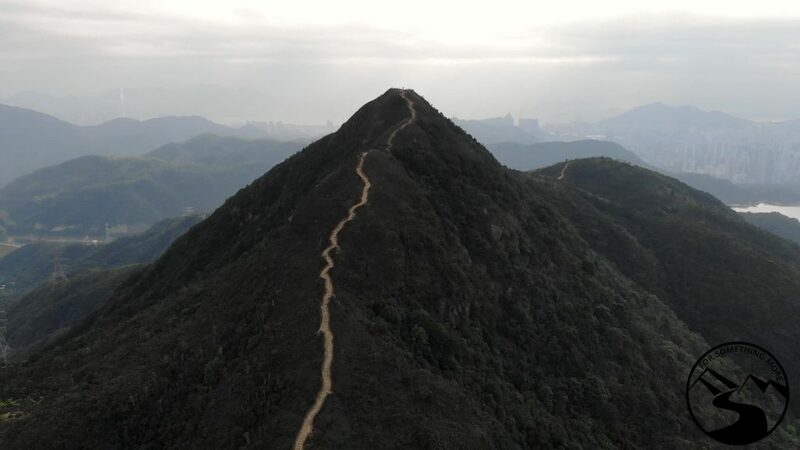 Instead, you’ll hike up and behind the Ten Thousand Buddhas Monastery to the MacLehose Trail Section 7, and from there, you’ll walk along the MacLehose trail in order to head up Needle Hill. After you’ve finished taking in the spectacular 360 degree views from the summit, at which point you’ll be able to see Hong Kong’s tallest mountain Tai Mo Shan, as well many of the other Hong Hong hiking classics such as Ma On Shan, Lion’s Rock and the Shing Mun reservoir, you’ll head down to Tai Wai. This hike is quite challenging, as it includes many stairs both on the ascent and descent, but the spectacular views at the top make it well worth the sweat you will pour to get up there. If you’re lucky enough to see the monkeys and Billy Goats, that’ll be and added bonus too! 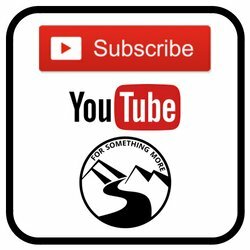 The short video below will give you just a bit of what awaits you at the summit! And the details below that will give you all the information you need to hike Needle Hill yourself! If however you’d prefer not to try and navigate out on the trails all by yourself, we’d be glad to guide you, so you too can hike Needle Hill. Just give a click below, and we’ll get planning with you! When you hike Needle Hill, the main thing you’ll need is water, especially if you do this in the summer months. A couple of snacks wouldn’t hurt either. The rest of the items we suggest are below. Especially on some of the loose slippery gravel, it is important to have good footwear. We love these shoes*. However, the most important thing in a shoe is proper fit, so use these as a starting point, but keep in mind there is no “one-type-fits-all” shoe out there. If you hike Needle Hill on a sunny day, you will want to protect yourself from the sun. We love this camera and lens. This whole setup is weatherproof too, so we don’t have to worry about it in the rain! This hike starts right from the Sha Tin MTR station Exit B (the same exit you’d take to get to the Ikea in Sha Tin), and it ends at the Tai Wai MTR station Exit A. Suffice it to say, when you hike Needle Hill, take the MTR to get to the trailhead and back home afterwards. This is an intermediate/advanced hike due to the distance and elevation gain. Also, when you hike Needle Hill you’ll notice that going up Needle Hill itself, and also going down into Tai Wai, there are some stretches of the trail with loose rocks, gravel and places that are a bit “technical” in terms of footing. Make sure to wear sturdy hiking shoes, like the ones we recommend above. This hike is 8.34 km (5.18 mi) long, and it has 592 m (1942 ft) of elevation gain. For intermediate hikers, plan on this taking 3-4 hours. Advanced hikers, plan on this taking 2-3 hours. We suggest you use our hike Needle Hill Google Map and our picture guide (below) to navigate while you’re out on the trail. From your mobile device, just click the link above, and you’ll see our route in your Google Maps App. But again, if you’d prefer to leave the navigating to us, we’d be glad to guide you on a hike up Needle Hill. Just click below, and we’ll get planning with you! Once out of the Sha Tin MTR exit B, turn left, then walk down this ramp. U-turn to the left, around this railing. Walk ahead, and zig-zag between the shop and the slope on the left. At this traffic circle, walk up to the right. Pass by the seminary on your right. Walk up this small driveway. Then continue straight until the dirt trail. Enjoy the dirt trail for a moment. Continue up the paved path. That red building is the Ten Thousand Buddhas Monastery. Climb up these stairs, to the right. Keep on going! From this point onward, keep an eye and an ear out for rustling in the tree tops. It may be monkeys! Pass straight through this makeshift exercise area. Check out Sha Tin far below! And then go up some more stairs. Make sure to stop and enjoy the views. This is the first glimpse you will get of Needle Hill. Go left at this intersection. Go left up the road. Walk on the road until you reach the base of Needle Hill. Needle Hill in its full glory! Get ready for those steps! This is the base of Needle Hill. Head on up! There are plenty of stairs to enjoy! Tada! Nice work! Enjoy the beautiful views! That is the Shing Mun Reservoir below. Off in the distance is Ma On Shan. Check out Lion Rock too. Retrace your footsteps to head back down. This is the “Turn off for Tai Wai”. Head down this trail. The underbrush is quite dense, but the trail is well established. Keep pushing your way through. Check out Tai Wai down there! That’s where you’re going. Make your way through the bamboo groves! Don’t forget to enjoy the views! Eventually the trail opens up a bit. Near the big rock is where you will likely see some goats! On this day, we did! Eventually, you’ll get there. Follow the path sharp right downhill. Here, make a sharp left and stay on the road. Walk across the road and down the small path. Curve around to the right here. Cross the street, and using your Google Maps app, head back to the Tai Wai MTR station! Well, there ya have it! Now you should have all the information, and hopefully all the inspiration you need to hike Needle Hill. If you’d like to do another adventure up in the New Territories, you should seriously consider checking out the refreshing waterfalls at Ng Tung Chai, and if that doesn’t suit you, how about the Dragon’s Back of the New Territories, Tai To Yan? Looking for something a bit more mellow? How about a gentle walking tour through Tai Po – The Venice of Hong Kong! Last but certainly not least, you should consider the stunning ridge walk at Pat Sin Leng. No matter what you do, if you have any questions, comments or compliments 😉 just leave them in the comments section below, and we’ll get back to you in a flash! How long it took for you to hike this? Good question! For a slow hiker, four hours, for an intermediate hiker 3 1/2 hours, for a fast hiker 2 1/2 to 3 hours.